So clearly, Step 1 is to have a very good financial plan. This will help you see where your finances stand with your current view of your income, spending, liabilities, assets and investments. In creating a plan, you should be able to see not just your net worth and future projected net worth, but a matching of your cash flow with your expenses and a view of the estate taxes that you may eventually owe. Then you can see where you might be vulnerable and whether insurance might help you mitigate some risk. I’m sure that many of us are familiar with life insurance and see it as a way to provide some financial assets to either a spouse or our heirs that will help them manage a transition. And, indeed, this is one of the ways that you can use life insurance. You may have a non-working spouse and you believe the life insurance could help them maintain their current lifestyle. Or, you may want to insure a stay-at-home spouse so that you could hire assistance for domestic/household duties should your stay-at-home spouse pass away. You may have identified a need in your financial plan that you want to be sure to plan for. This could include college education for children or grandchildren or providing care for an heir with special needs. In both of these cases, you may be able to use life insurance assets as a way of providing support for those people beyond the lifetime of the person providing it. You may also want to have life insurance as a means to pay federal estate taxes. This is particularly useful if your estate is exposed to high estate taxes and may contain illiquid assets, such as real estate or a family business. The policy may provide liquid cash that could be used to pay the estate taxes, which could help preserve the other assets to pass to your heirs. Insurance can also be useful in creating a charitable bequest. You may have a charitable organization that you want to support, but don’t want to dilute the value of the estate that you are passing to your heirs. Using insurance with the charity as the beneficiary could provide this structure. When you look at your financial plan, you should ask how dependent your long-term plans are on maintaining your income. And you may decide that both your ongoing expenses as well as your ability to continue to contribute to a retirement plan are very dependent on your current work salary. You may also want to check with your HR group and see if you are covered by a disability policy through work (you will want to review this policy carefully to understand the conditions under which the policy might provide payment to you). In coordination with this, you have to honestly assess what type of disability would limit your work and ability to earn an income. If you are not covered by your employer, you can review the cost of disability coverage. Note that there are some protections out there, but they might not help you in the ways that you think. So, it is important to review them now. To qualify for Social Security Disability Income, you generally need a total disability- that more or less means you are so impaired (physically or mentally) that you cannot perform any gainful work, and the impairment must be expected to last at least one year or to result in death. This is a very high benchmark for qualifying and would only provide some benefit under the most extreme circumstances. Also, some people rely on Worker’s Compensation. But, remember that generally you are only covered in this way for an injury that occurs on the job. You may find yourself injured outside of work and need income protection for that as well. 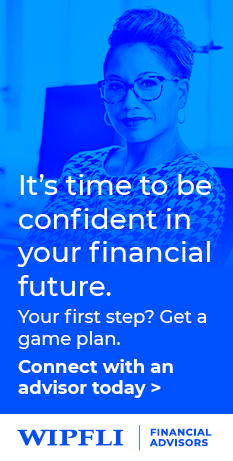 You may have a fairly robust financial plan. But one costly risk that we face is whether we will need some type of health care support during our retirement years. You may need to review your plan and see if you can self-fund the type of care that you desire should you find yourself in those circumstances. Your financial planner can help you understand what those costs really are. When making this consideration, it is important to think about the implications if your relationship has one spouse that needs care and one healthy spouse. It can be important to make sure that you have a plan that supports both the type of care that one spouse needs and leaves enough assets for the healthy spouse to continue enjoying life without a significant downgrade in lifestyle. If you have enough assets, you may also consider whether you want to preserve them for heirs or if you are willing to use those assets to fund any health exposure of your spouse, thereby reducing your estate. You may think that this category of insurance is just the norm. And, of course, this is generally for the protection of your assets and your income. You may have some assets that you want to protect with specific coverage, such as an art, jewelry or wine collection. You may also have some liability exposure that could protect you from lawsuits. Injuries and accidents can occur anywhere and you may desire increased protection for your investments and assets You may also have some liability exposure if you serve on a non-profit board. In both cases you would want to explore the risks and the cost of liability coverage. All of these tradeoffs can be modeled, so that you can assess whether you are willing to bear the cost of insurance now to protect assets for other uses in the future. In this way, insurance is one of the tools that you can use to reduce the risk of certain exposures in your financial plan. You will want to see which risks you are comfortable bearing (and using assets for) and which risks you want to insure. You will then want to review the costs of insurance and the timing for insurance to see when it makes sense for you to put it in place. Of course, you generally don’t have free reign to just purchase insurance. You must qualify for insurance and the price may vary depending on your age and health. So, you will need to balance the timing of your purchase to make sure that you will qualify for a policy and that you can afford the cost of that policy. All of these are supported by a good financial plan and an understanding of your financial and long-term lifestyle goals as the first step. Who should you go to for insurance recommendations? If you and your financial advisor decide that your risks are best managed by putting some insurance in place, continue to work with your financial and investment advisor while you seek insurance. They should help you find an insurance agent that meets the needs you’ve identified. It is a complicated field and you want to work with a trusted advisor and to find a policy that has the characteristics you want to mitigate the risks in your financial plan. You probably don’t want to pay for features that you may not need just because they are nice, and, you certainly don’t want to find yourself without the features that are most useful in your overall financial plan.